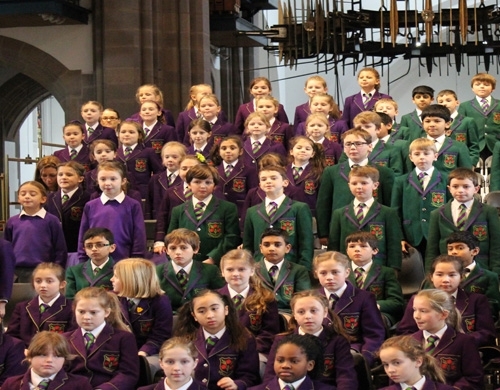 The Junior Schools’ welcomed friends and family to Blackburn Cathedral for their annual Carol Service earlier today. As a prequel to the service, the Year 5 boys and girls performed Carols in the Cathedral – a perfect taster to the main event. Canon Hindley welcomed the congregation and what followed was simply magical. Beautiful songs were sung with exceptional solo and group performances. The Nativity characters acted out their roles with ease and the Westholme community took great delight in joining in with many of the carols. A rousing rendition of O Come All Ye Faithful drew to service to a close and left everyone feeling in a wonderfully festive mood.